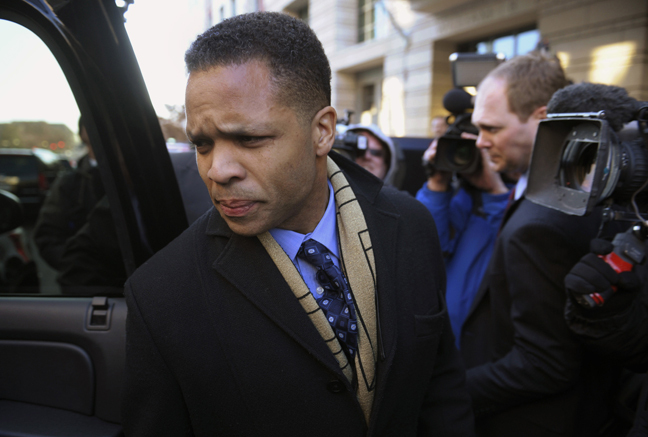 Congressman Jesse L. Jackson, Jr. reported to a federal correctional facility in Butner, North Carolina to begin serving his sentence. He was accompanied by his friend and former colleague North Carolina’s United States Representative, GK Butterfield, as well as his Atlanta-based Attorney, CK Hoffler from Edmond, Lindsay & Hoffler, LLP. “Congressman Jackson and I have been good friends for many years and I am happy to report that he is in good spirits, all things considered,” confirmed Butterfield. As Jackson begins to serve his term, he is aware that many people have expressed an interest and desire to visit him while he’s incarcerated. Attorney CK Hoffler will coordinate these visits, which may begin as early as November 8 with the arrival of Jackson’s family as well as Pastors Rick Warren and Anthony Miller from California. Reverend Dr. Otis Moss, Jr. from Cleveland, OH, Minister Louis Farrakhan, United States Repre­sentative Marsha Fudge, Chairman of Congressional Black Caucus, United States Representative Hank Johnson of Georgia, and public relations/media magnet Judy Smith are also expected to visit in short order. When he surrendered to the facility, Jackson apologized again and expressed sincere regret for causing so much pain and sadness to his family, his constituents and his friends.